Ghanerao is a village in Desuri tehsil of Pali district of Rajasthan.The village is located on the Sadri-Desuri road State Highway 16. Due to its proximity to Kumbhalgarh fort, Ranakpur Jain Temple and Kumbhalgarh Wildlife Sanctuary, it is an important place in tourism. There are many Hindu and Jain temples in and around Ghanerao. There are about 11 Jain temples some of them are quite old, Muchhal Mahavir Temple being the most notable one. In the village are also Hindu temples of Laxmi Narayanji, Murlidhar and Charbhujaji. On the outskirts of the village is situated a ‘math’ known as Giriji Ki Dhani. A temple of Gajanand here is worth seeing. 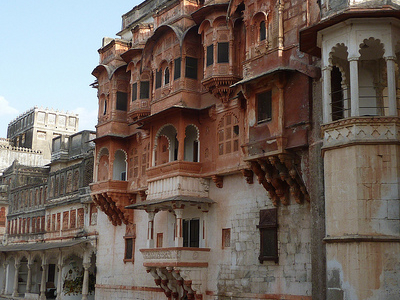 Here's the our members favorite photos of "Towns & Villages in Udaipur". Upload your photo of Ghanerao!